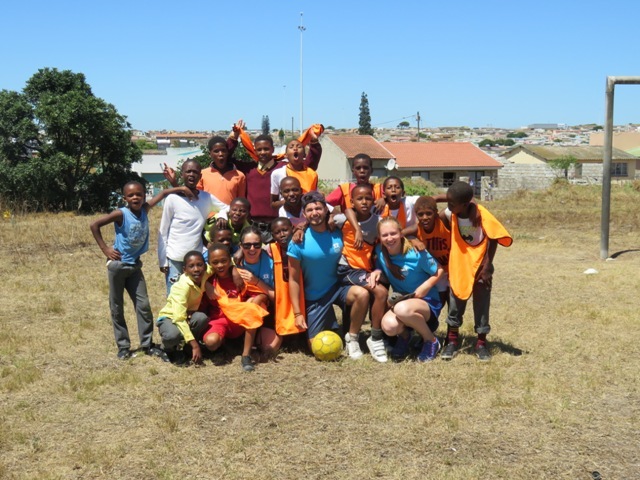 Saskia is still having a fantastic time as a sports coach in South Africa. 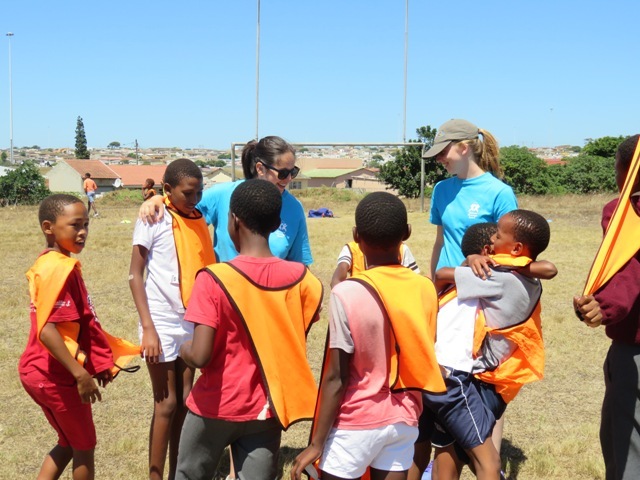 Today she is sharing with us what a day in the life of a sports coaching volunteer is really like. A typical day varies depending on which programme you are on each day, so swimmers, teachers, coaches and those doing child care all have different schedules. Since so far I am spending most of my time coaching I will focus on that. Usually the mini bus leaves around 9 for coaching, and it’ll leave whether you’re there or not, Ashy takes no prisoners! I usually wake up around 8, have breakfast (which probably takes me longer than most since I am known for eating rather a lot! ), make my packed lunch, make sure I’m coated in sun cream and am ready to go. 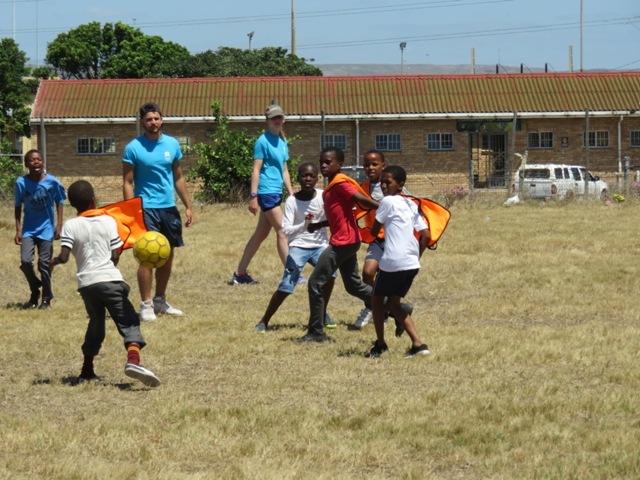 Our first coaching session will start at 10 and lasts an hour and a half; each day we coach in different areas of the townships so once we get there all the schools are fairly close. At 11:30 we head to the next location, usually I’m pretty hungry already by this point and end up eating most of my lunch on the bus before the next school which starts at 12. We coach for another hour and a half here and then usually get a trip to a shop to buy any snacks or cold drinks we want before our final session. This is always an after school club which I really enjoy because usually the children really want to be there and are even keener to learn. These sessions however are only an hour long so it’s quite a nice way to wind down towards the end of the day. Usually we arrive back at the volunteer accommodation at around 3:30/4, often people will go for a swim or just relax for a few hours before supper which is served at 6. Everyone eats together at the same time which is really nice so it’s quite a sociable time of day. After supper depending on the day of the week there are various things we get up too, on Mondays we have a meeting night, Tuesday nights we play 5 aside football, Thursday there’s a nice cocktail bar we often visit and Friday nights are game night! Next Post Volunteering in Tanzania &#8211; one month in!